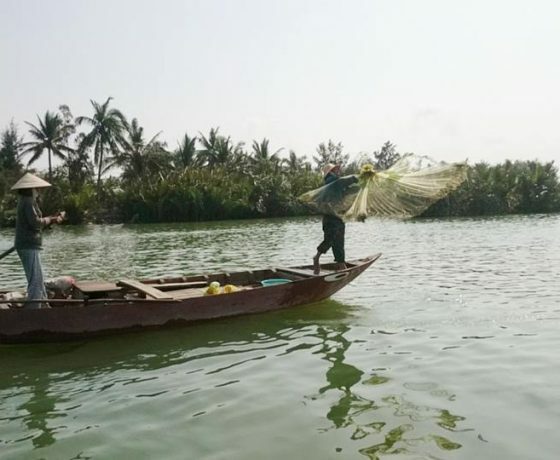 Join this unique eco-tour experience and explore Hoi An’s captivating countryside and become fishermen and farmers to experience the breathtaking landscape fulfilled with rice and vegetable fields, coracle boats, beautiful beaches and rivers. You will enjoy a day long excursion in this ancient town, moreover, be impressed with the way people here earn their living. 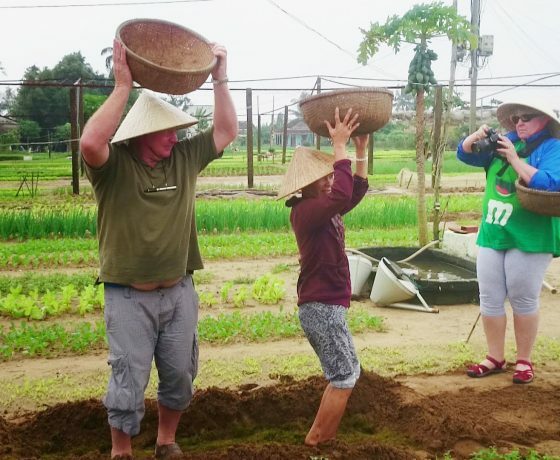 We will share the happy moments with local farmers and fishermen on this tour. 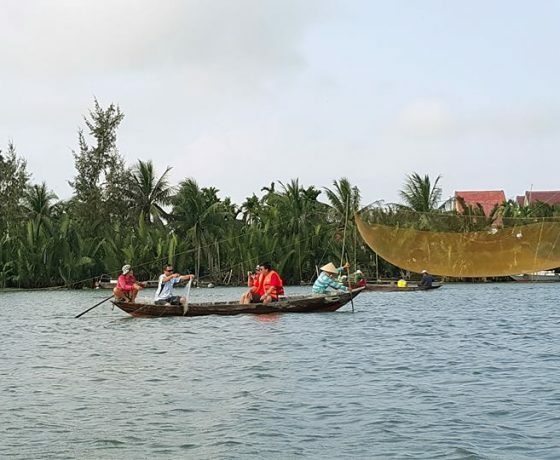 The bicycle and boat trip will bring you to the Hoi An’s villages where you can explore the long-live farming and fishing tradition. After his short introduction, you will go on a ride to the charming countryside, heading to the village of Tra Que in the first trip. 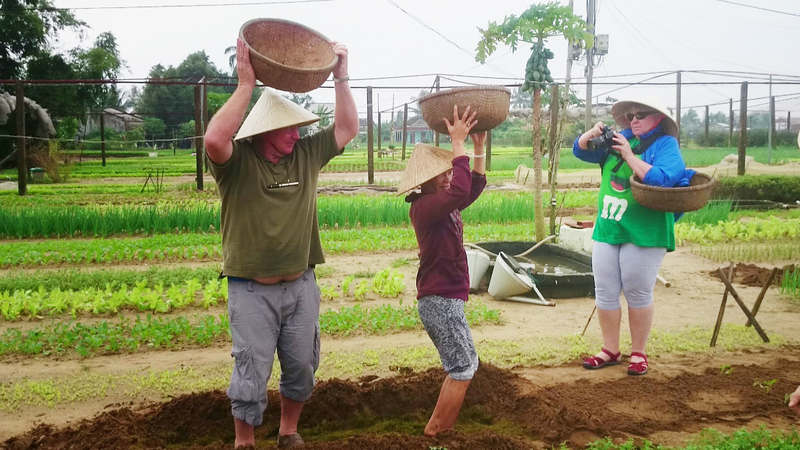 This village is named after a well-known herb for most of the local Hoi An dishes. 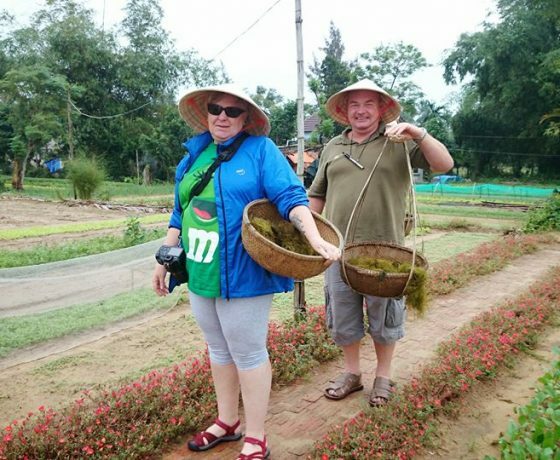 Thanks to the fresh and sweet smell, most of the herbs here are used for Banh Xeo, Cao Lau and My Quang, popular dishes at Hoi An. Local people knows how to put these herbs into a proper recipe so that it brings out the best quality dish. 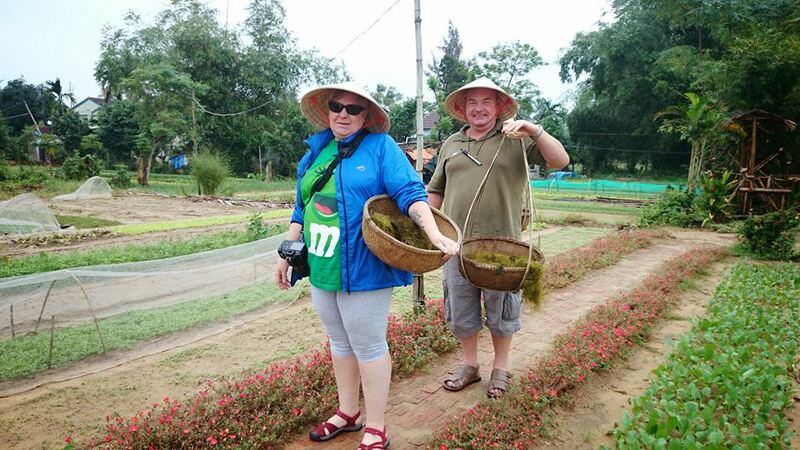 Next, you will visit the abundant red eye chili, lemongrass, basil, coriander and spring onions gardens. You will be presented and take part in the planting progress from planting seeds to watering them tenderly from the local farmers. They do not use fertilizers in their soil, but an algae instead. We end at a local fishing family’s house. They will take you to a untouched waterways on a unique corable boat, surrounded with water coconut palms. 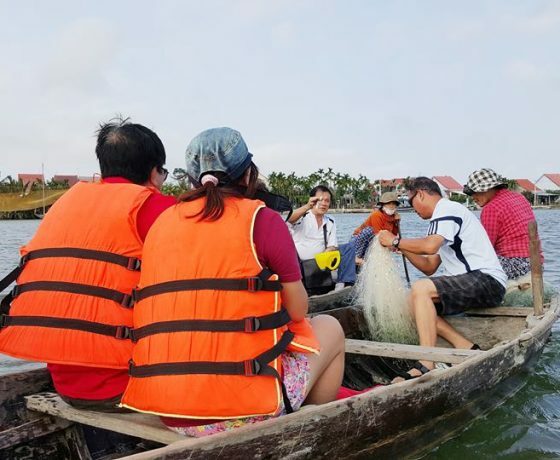 Take a deep look at how a local fisherman dredge the river bed to catch river snails. Don’t forget your camera to capture those interesting moments. After lunch, we learn how to build and weave a mat as well as explore the rich culture of fishermen and women here. They tend to sing folk songs while doing their job. The songs are relaxing and rhythmatic. 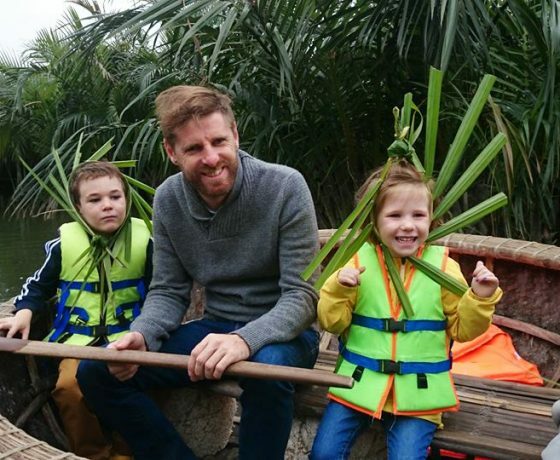 The ending destination is the “Bamboo House” built by a bamboo craftsman – the man who will guide us how to make fantastic crafts from bamboo. 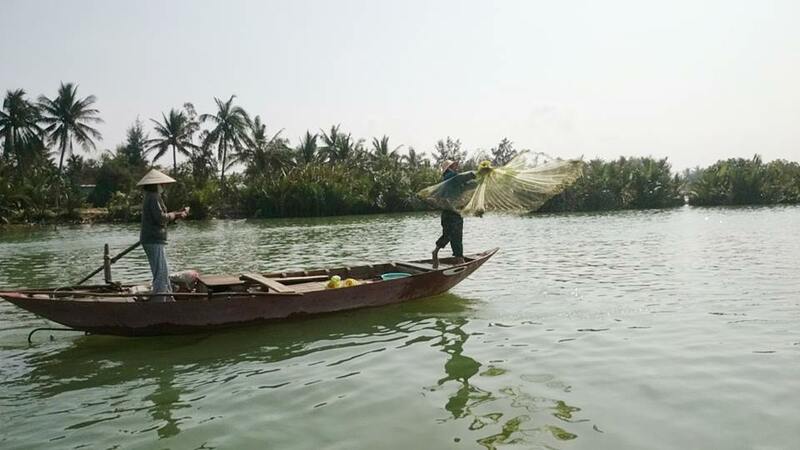 These customs have been passed down through generations and play an important role in shaping Hoi An’s. Return to the starting point and make a second trip to the country side. You will ride through coconut palms and shrimp farms along the way. 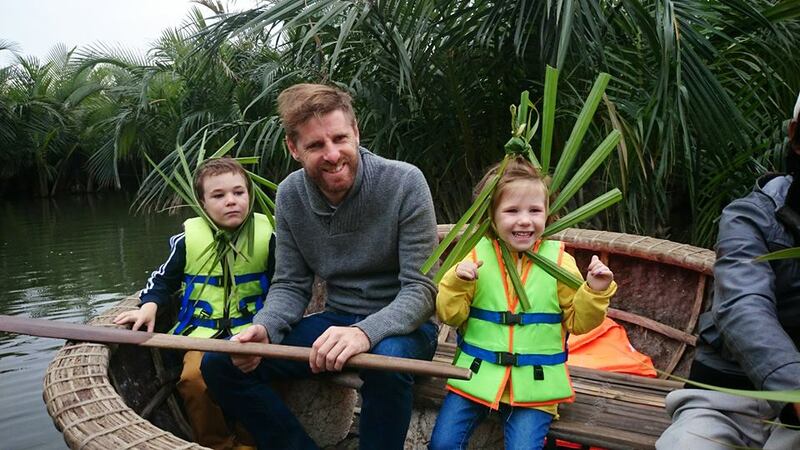 We put our bicycles on a boat to visit a local village. We enjoy delicious lunch prepared by our hosts. 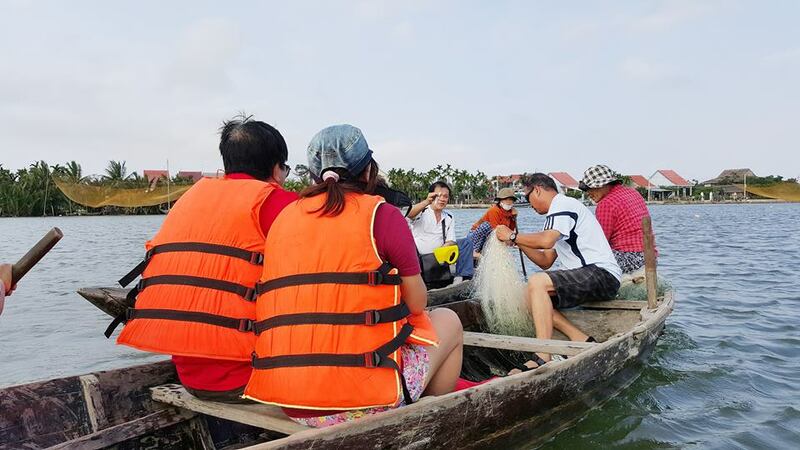 After lunch, we ride around the village to explore the fishing net making process culture. We continue our journey along the river on the boat. The water-way is covered with birdlife and a bundle of night activities of the local fishermen. 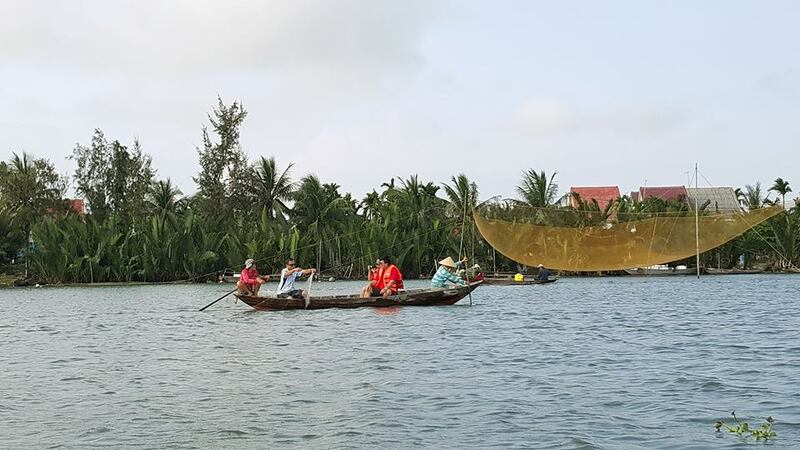 Return to Hoi An and travel by bicycle to your hotel.